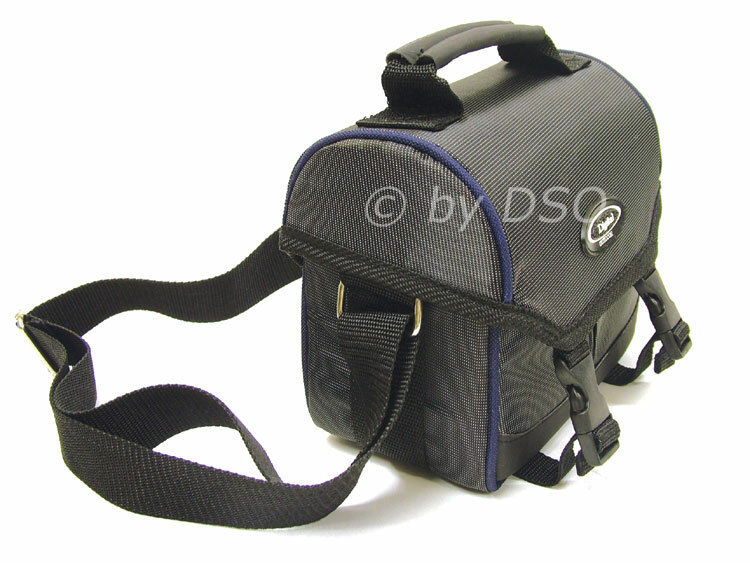 This lightweight, weather resistant camcorder bag is manufactured from 600D material. Carry's most digital and camcorders. The adjustable divider allows you to make your camera have a tight fit in the case so protecting it even more. It comes with a hard case and top, adjustable shoulder strap and re-enforced carrying handle. Featuring an internal zipped cargo netting pocket for batteries, film and accessories. 2 external adjustable compression straps get the case packed good and tight. It has a hard base with protectors.